The hardware is about 90SGD, making the software about 60SGD or 45USD. Which is about 22% cost of the PC pricing. As a bundle and with TCO in the sense this software will be updated into the future, this is breakthrough pricing for getting into Web signage. 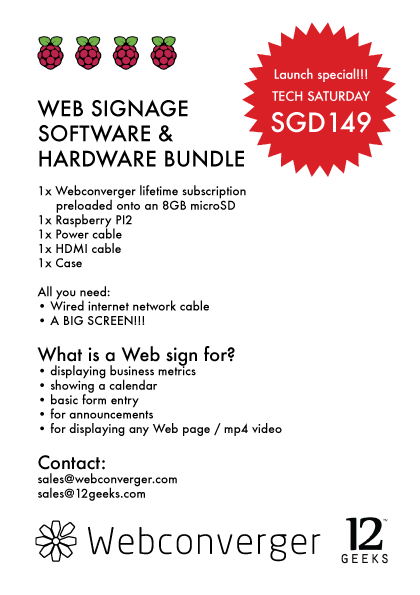 Webconverger is distributing the bundle in Singapore via 12geeks. This saves the hassle of following several installation steps involved in putting the software on a microSD card. If you're interested in the bundle, please get in touch with sales!